Swiss artist H.R. Giger, made famous for his work designing the iconic creatures in the Aliens series, has passed away at the age of 74. TV station SRF and SWI report that he died as a result of "injuries sustained in a fall". Aside from his work on the Alien films, Giger also worked on the Dune movie that never was, as well as some pretty awesome video games. 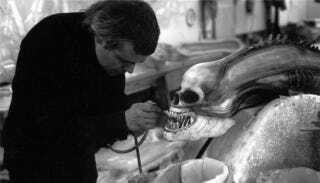 Giger won an Oscar in 1980 for his design work on the first Alien movie.